Despite prior speculation about a possible cut in the European benchmark interest rate, the ECB kept it on hold at 0.75%. However, President Mario Draghi's comments that 'data suggest the region's economy will stabilise this year' was somehow enough to spur a rebound in the shared currency versus the dollar. As a result, the EUR/USD pair gained 114 points to $1.3105, with an advance in the Spanish bonds also implying an improvement for the overall confidence in the Eurozone. This morning, the currency pair is just floating below the $1.3100 level at $1.3090, with near-term support and resistance at $1.3060/30/1.2980 and $1.3120/55/75 respectively. In FX spread betting, the euro-US dollar pair resumed its plunge yesterday, breaking and closing below the $1.30 level for the first time this year and ending the session at $1.2991 after a 51 point drop. The Eurozone's economy slumped by 0.6% in the last quarter, the worst contraction in almost four years, which fuelled speculation of more stimulus from the ECB at today's meeting. Data from the Eurozone showed that their services sector saw a smaller than expected contraction of 47.9, against estimates of 47.3. The report spurred some renewed buying in the euro-dollar pair which finished 25 points up at $1.3042. A rise in Italian bonds, which have been under pressure lately, was also a supportive feature for the shared currency. At the time of writing, the euro seems to be benefiting from the Dow's record performance, as it trades up at $1.3050. This morning, we've finally had some welcome news for the high street as the BRC announced that retail sales grew at their fastest pace for more than three years. Elsewhere on the economic data front, today will also see services PMI data from both the UK and the EU. So far this week, the GBP/USD market has managed a small bounce off the $1.5000 level, taking it to $1.5145 at the time of writing. However, with the UK PMI figure expected to come in above the crucial 50 mark, anything weaker than that could spell further trouble for sterling. The euro closed almost flat against the dollar yesterday, trading at $1.3015, as investors moved into standby mode ahead of the week's important economic news. Eurozone GDP will be announced on Wednesday and this will be followed on Thursday by the ECB interest rate meeting and press conference, where the benchmark rate is expected to be held at 0.75%. At the time of writing, EUR/USD is also benefiting from the risk appetite in stock markets, with the pair rising to $1.3050. Near-term support is seen at $1.3000, $1.2970 and $1.2945, whilst resistance is at $1.3095 and then $1.3130. The stalemate in Italian politics continued with no indication of real progress and so the single currency saw further downside pressure on Friday. There was also more bearish news as Eurozone unemployment rose to a record 11.9%, from 11.8% a month before, sending the euro-dollar spread betting market 34 points lower to $1.3021. This morning, risk aversion is still weighing on the single currency, with the pair slipping to $1.3000, and a break lower could test $1.2945. European Central Bank President Mario Draghi held his ground yesterday, reiterating his opposition to tightening the current monetary policy for the foreseeable future. That pushed investors out of the euro, which dropped 83 points to $1.3055, amid ongoing political rows in Italy over forming a government. 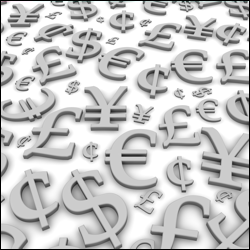 This morning, we are seeing are a few buyers of the single currency as they push EUR/USD to $1.3095 at the time of writing. Support and resistance is seen at $1.3035 and $1.3130 respectively. A well received Italian bond auction helped to ease some of the initial concerns regarding the political turmoil engulfing the country. Currency investors were also encouraged by Ben Bernanke's comments that defended his monetary policy, thus spurring renewed demand for the shared currency against the dollar. This led to the EUR/USD pair enjoying a 76 point rally yesterday, rising to $1.3138 which is roughly where it remains today. In forex spread betting, after dropping sharply against the US dollar in the last few sessions, the euro was little changed yesterday finishing at $1.3057. Although the prospect of a hung Parliament in Italy could make the nation ungovernable and trigger fresh elections, it is the anti-austerity rhetoric that really scares EU officials. For now, the political arena in Europe's third largest economy is anything but stable. Needless to say, the Italian election stalemate, and the possibility of another vote to come, has knocked the stuffing out of the single currency. In addition, there is growing anti-austerity rhetoric among the majority contestants, which seems to scare Brussels as though they don't know 'the political game'. Anyway, the euro plunged 158 points to $1.3057 yesterday, as political uncertainty sent participants into the safety of the US dollar. This morning, it seems as though there's still a little bit of life left in the single currency, with the EUR/USD pair managing to move up to $1.3075. Following reports that the Eurozone manufacturing and services sectors contracted by more than previously thought, the euro finished rather flat at $1.3184. With Italy voting at the weekend, the first time since the credit crisis, financial spread betting investors were in no mood to add risk. Although there was no clear favourite, the potential of a Berlusconi come back was not well received.